It was founded in 1519 and next year it will arrive to its first half millennium. 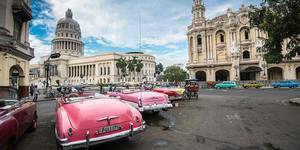 Cuba celebrates 500 anniversary of Havana with an extensive cultural program and is working in giving new life to the capital city. 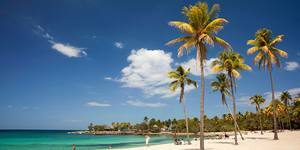 Join Bed and Breakfast in Cuba to know more about this event and the expectations around it. The original name of Cuban’ capital city is Villa de San Cristobal de la Habana. It was founded in 1515, but in 1519 it was moved to its current location. And nowadays the city is a reason of celebration, not only in the capital but in all the provinces. And the reason is that this village arrives to 500 years. Half a millennium in which it has witnessed thousands of historical events present in its streets, its buildings, the bay and, above all, in its people. That’s why the celebrations began long before the indicated date. 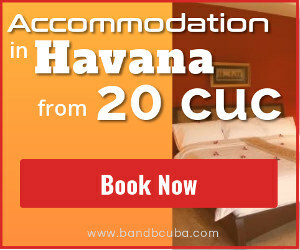 Havana is the center of life in Cuba and a must stop for travelers who want to know the island. The rest of this year and the next will be a privileged opportunity to get to know Old Havana. The anniversary program began in 2017. It includes cultural activities all around the city, and arrangements are also being made around the entire city to give it a more careful, renewed look. If you are traveling to the island soon something you can expect is to see concerts in public spaces of the city. Yes, more than usual… the Cuban Institute of Music prepared concerts that take place every second, third, and fourth Saturday of every month. The most popular music groups in the country will be presented at different points in the city. This way the institute expects to contribute with the strengthening of the identity of Cuban people. This celebration will continue every month, until the anniversary. But the celebration not only includes cultural activities. For months the government has been working in several tasks to give the city a new face. And, work includes recovering facilities that offer products and services to the population. Cleaning the city, taking care of public parks, new luminary in the streets are just a few of the tasks they’ve been working on. It’s not just their responsibility, but also a gift that the city and its people deserve. Different governmental organizations have been working in hospitals, educational centers, sports institutions, museums, houses of culture and many more. Official sources said the press that they expect to keep with this labor even after the anniversary. They have emphasized that the work to refresh the city should be continuous. People is also expected to participate in all the labor it’s been done in Havana. Everyone should contribute to give it a new face and keep it in the future. And not only habaneros, but all the Cubans. The 500 anniversary of Havana and the celebration around it it’s an opportunity to promote tourism in the island. Between 2018 and 2019 new hotels will be open to receive visitors from all over the world. 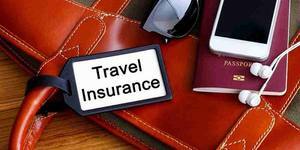 Also the city is expecting the visit of travel agencies from different countries to strengthen ties and strengthen tourism in the country. Among the activities for the celebration, stand out the inauguration of Cuatro Caminos Market and the Central Railway Station. Also the rehabilitation of the Castillo del Morro lighthouse, and the hospital La Edad de Oro. 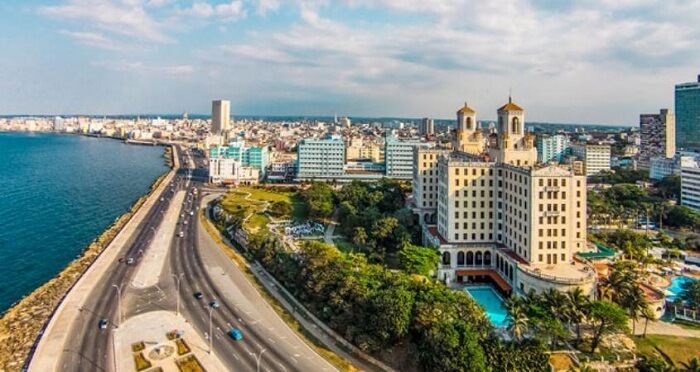 The Feria Internacional de Turismo (International fair of tourism) FitCuba 2019 will be in Havana in honor to its anniversary. Spain will be the guest nation of honor. Bahia de la Habana. This bay is one of the biggest in America and is one of the most visited spots in Cuba. It has 5.2 square kilometers. Calle de Madera. In English is wooden street and is located in front of the Palacio de los Capitanes Generales, in the foundational area of the city. The streets are paved with native hardwood pavers. El Cristo. 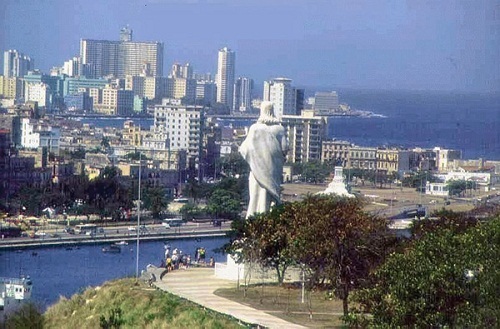 Its full name is Cristo de la Habana, an statue located in Havana Bay. This is the largest outdoor sculpture made by a woman, the artist was Lilia Jilma Madera Valiente. Museo del Tabaco. Tobacco is part of Cuban traditions. In this museum it is possible to learn about this industry and its influence in the island. Catedral de la Habana. This is just one of the churches you should visit in Habana. Unesco declared this building World Heritage in 1982. Also, don’t miss the Santuario de la Caridad del Cobre. Old Havana. This is the oldest part of the city, declared Cultural heritage of Humanity by Unesco in 1982. As we said before, the real name of the city is Villa de San Cristobal de La Habana. In November 16th, 1519 were celebrated the first mass and the first council in El Templete. This way the seventh village of Cuba was inaugurated. San Cristobal is the patron saint of the city. And it’s said that “Habana” comes from the name of a Native American chief named Habaguanex. The city was a strategic point. It served as base for expeditions of exploration, conquest, and settlement of other lands. Due to its location, pirates and corsairs soon arrived and attacked Havana. The French corsairs, Jacques de Sores, took the city in 1555 and burn part of it. 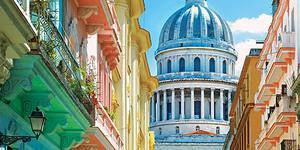 Havana hides some of the best history and mysteries in Cuba. If you want know more interesting facts about Cuba start planning your trip. To be present during the celebration of the anniversary of the capital city it’s an experience you don’t want to miss. 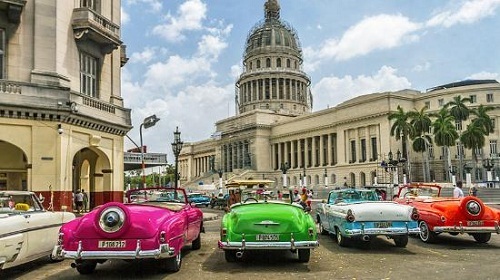 In 2019 Cuba celebrates 500 anniversary of Havana. And they already are celebrating and have a lot of activities in the program. Would you like to be present? Book a casa particular now and don’t miss it.